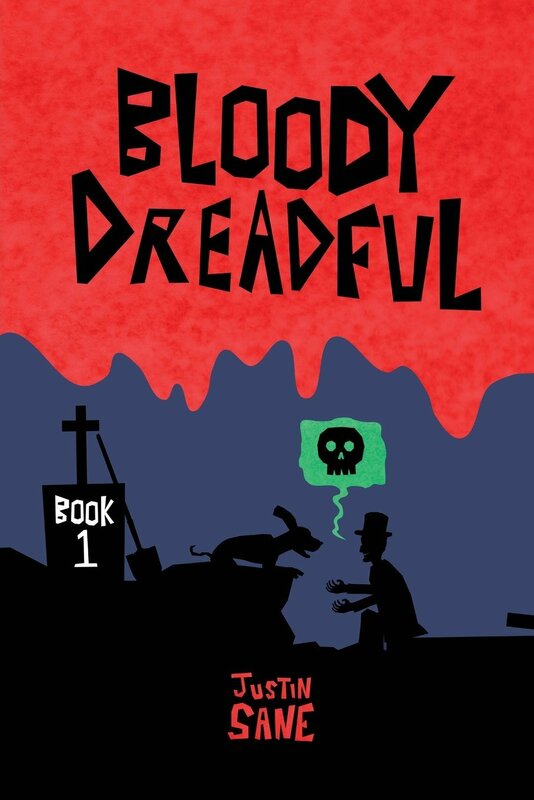 BLOODY DREADFUL: BOOK 1 now available on Amazon! A grave-robber makes his living nightly interrupting the slumber of the deceased and looking for anything that might be of value. But valuables and trinkets are not the only thing this poor digger discovers, but also the untold stories of the people he unearths; tales he tells to his faithful companion, a dog known only as “Bloody.” Bloody Dreadful is a horror comic series by Justin Sane (Heart of a Corpse) that exposes all of the dirty little lies and secrets that people take with them to their graves. Go and dig yourself up a copy!